Robert M. Meisner is the principal founding member of his AV rated firm (the highest rating given to law firms by judges and lawyers) concentrating in community association, condominium and real estate law. Mr. Meisner was the first lawyer in Michigan, and is among the select few attorneys in the country, who has been inducted into the College of Community Association Lawyers, sponsored by the Community Associations Institute, a national organization devoted to promoting the interests of community associations. Co-drafter of the 1978 Michigan Condominium Act, as well as the 2001 amendments to the Act. Provided testimony regarding proposed condominium legislation to both the Michigan legislature and the United States Congress. Former trustee on the College of Community Association Lawyers Board of Governors. More than 25 years as a featured lecturer on business law and condominium operations at a number of schools around the state of Michigan: Lawrence Institute of Technology, Macomb County College, Oakland Community College, Oakland University, Wayne State University, Northwestern Michigan College and Grand Valley State University. As an author, Mr. Meisner has been a featured columnist on condominiums and real estate in the Observer & Eccentric Hometown Newspapers for more than 30 years, as well as other newspapers and magazines throughout Michigan such as The Detroit News, Traverse City Record Eagle, Oakland Business Review, Hour Magazine, The Grand Rapids Press, The Delta Waverly News, Metropolitan Detroit, Common Ground, Condo Management, and Michigan Lawyers Weekly. Meisner is also an author of both the popular booklet entitled A Condominium Operation: Getting Started and Staying on the Right Track and the highly acclaimed book, Condo Living 2: The Authoritative Guide to Buying, Selling and Operating a Condominium. Case Evaluator for Oakland, Wayne and Macomb County Circuit Courts. 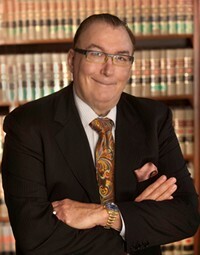 Mr. Meisner has also been trained and certified to act as a mediator for the Oakland County Circuit Court. Director, Castillo at Tiburon Condominium Association, Inc.